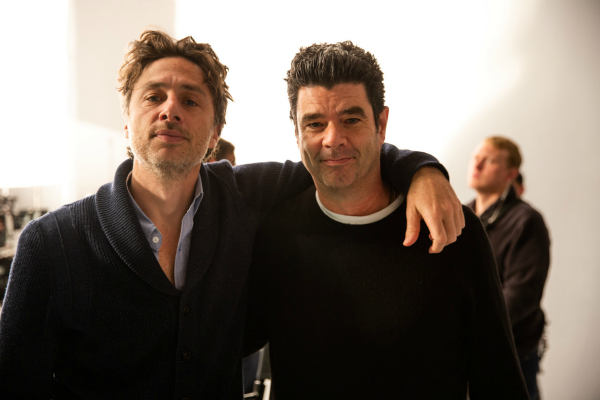 Comedy director Zach Braff has signed with RSA Films for commercial representation. His first work with RSA is a Hidden Valley Ranch campaign via mcgarrybowen which big laughs showing the extreme lengths people will go to enjoying every last drop of the popular salad dressing and dip. Braff is already directing his second project with the company, a branded film he wrote for Adobe inspired by a campaign from advertising agency, Pereira O’Dell. Braff taps into longstanding success in film and television, including his indie hit feature film Garden State, a dramedy he wrote, directed and starred in with Natalie Portman and Peter Sarsgaard which became a cult sensation, and the award-winning TV sitcom Scrubs, which he starred in and directed multiple episodes of over its nine-year run. Other highlights include credits in front of the camera in The Disaster Artist, Inside Amy Schumer, Community, Arrested Development and BoJack Horseman (voicing himself). Music has also played an important role in Braff’s career. He won a Grammy for Best Compilation Soundtrack Album for Garden State, and starred on Broadway in the stage adaptation of Bullets Over Broadway. He’s directed music videos for Gavin DeGraw and Joshua Radin, along with Lazlo Bane’s “Superman,” the Scrubs theme song. Braff continues his work in entertainment and is currently casting a feature film.